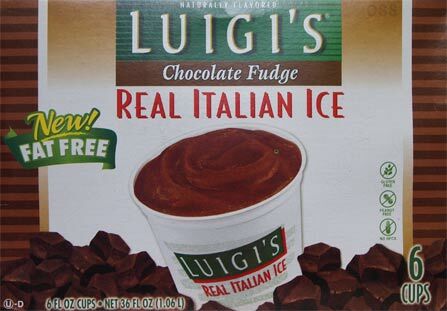 [New for 2015] While my son is still pining for his beloved Chocolate Polish Ice, I was intrigued to see that Luigi's has a new flavor out this year. 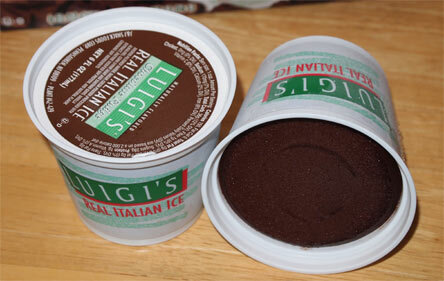 I say intrigued because we don't see a ton of movement in the Italian ice space, but at the same time, part of me is thinking "they are just trying chocolate now?" Now I've already had these once when we first bought them a few months ago, but neither of us has really had the urge to go back for more. So, as I sit here second scooping it, I think.... I think... well, it's not terrible and it's probably better than I remember it from the first time (ahhhhh, lowered expectations!). I'll be honest, I'm not real sure how to describe it. It's kind of like a watered down pudding pop. It does kind of remind me of Polish ice, but there's almost a tingle or tang or something going on here which is probably why my son hasn't gone back for seconds. There is a fair amount of chocolate flavor which is good, and it's familiar (tootsie roll), but there's just something not clicking with me. Sorry. I mean well. 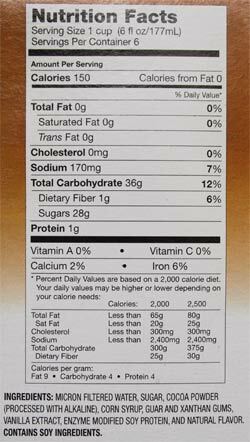 If you've tried these, let me know what you think, I feel like I'm just the wrong audience on this one. Products like this don't usually appeal to me but anything with chocolate does so I was curious to see how these tasted. Thanks for letting us know that we can fly by this one. My grndsons and I Just love it!!! Where can we purchase it? Albertsons no longer carries It!!!! Help us!! Exactly what the other Anonymous said. That's why I like it... I find ice cream to be too rich and it makes me thirsty. This is like a chocolate sorbet. Not as flavorful as Rita's chocolate ice, but it definitely soothes the craving and doesn't make me need to chug water after having it. I love this flavor. My supermarket had it for a few months, and now I can't find it anywhere. Nothing compares to Rita's but she closes in the fall! I think it's delicious! Anyone know what other market chains sell the flavor? Lots of stores sell Luigi's, I would just visit as many as you can, hopefully someone will have it!